Life is incredibly busy. From the very moment you wake up, the world tells you to Go! Go! Go! There is always another bill to pay, another errand to run, and “just one more thing” to do. What is often neglected is the most important thing of all: your spiritual growth. So, what if instead of hitting the snooze button one more time, you take a moment to focus on your spiritual journey? Manna for the Morning takes its name from the bread that God provided the Israelites each day–no more than what someone would need for one day. Manna for the Morning contains a devotional for each day of the year–a daily scripture followed by a brief devotional–to provide a daily portion of spiritual nourishment for the day ahead. Whether the daily theme is hope, encouragement, being overwhelmed by the world, strengthening your faith, or advancing your spiritual growth, each day’s devotional contains a heartfelt lesson with universal applicability. 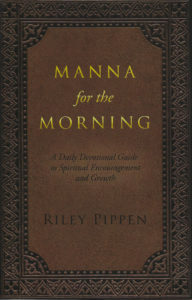 Pastor and author RILEY PIPPEN presents a thoughtful and reflective compilation of devotionals that will serve as your own personal, daily manna from the Lord. RILEY PIPPEN has devoted much of his adult life leading others on their spiritual journeys through his insightful preaching and teaching. In addition to preaching and teaching, Riley leads impactful mission trips to Honduras, Jamaica, and Mexico. He and his wife, Deborah, lead pilgrimages to the Holy Land, Egypt, and Jordan. Riley is a graduate of Southwestern Baptist Theological Seminary in Fort Worth, Texas. He has served as pastor in three different churches over the course of 36 years. 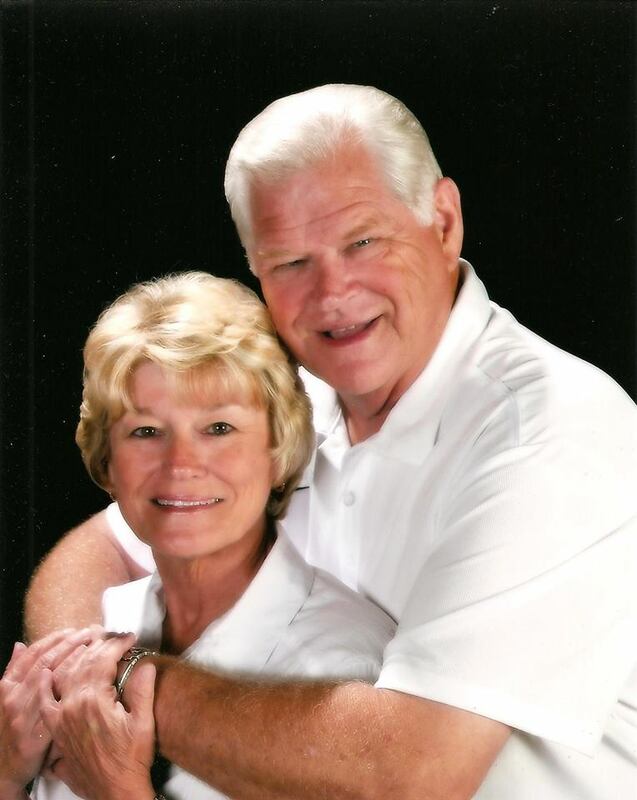 Riley and Deborah enjoy speaking, traveling, and spending time with their two children and four grandchildren. Directly from the author for signed copies ($17.99 each plus $4 shipping). If you are interested in two or more books, please contact us at BookSales@rileypippen.org.